The Washington School of Ballet (TWSB) offers ballet programs for students ranging from ages 4-19 from late August to May. Auditions for the 2019.20 school year will begin June 8, 2019. Auditions for the 2019.20 school year at TWSB SE will begin June 22, 2019. Auditions for the 2019.20 school year will begin June 8. Please see times and dates below. What to expect: Students will participate in a technique class and be assessed according to technical ability and age-appropriate standards. Prior experience will also be taken into consideration. No experience is expected for ages 4-6. Evaluations for the youngest participants will be made on physical ability, coordination and musicality by a team of faculty members. For students ages 4-7 there will be a parent Q&A while students attend the audition class. Attire: Girls should wear a leotard, tights or white ankle socks (ages 4-6) and ballet shoes (students on pointe should bring pointe shoes). No skirts please or distracting embellishments. Boys should wear black tights, a white t-shirt, and black or white shoes. However, if your child has never danced before, he/she may wear form fitting clothing for the audition. It is important that our faculty be able to evaluate physical proportions. Please remove all jewelry and be certain that the student’s hair is pulled away from his/her face and secured, preferably in a bun for girls. Recorded audition should be NO LONGER THAN 10 minutes and include the following in your audition: Introduction: name, age, years and place of study. Only one side of combinations at the barre include: plies, battement tendu, adagio, grand battement. In center (ladies on pointe) :adagio, pirouettes en dehors and dedans, petit allegro, grand allegro and a variation of choice. Gentlemen include: tour en l’air (single or double depending on your age and ability level) and allegro that includes beats and grand pirouettes. Submit your video to Donna Glover after registering online here. Please call 202.889.8150 to schedule an audition. The TWSB SE Campus school year program runs September through June. 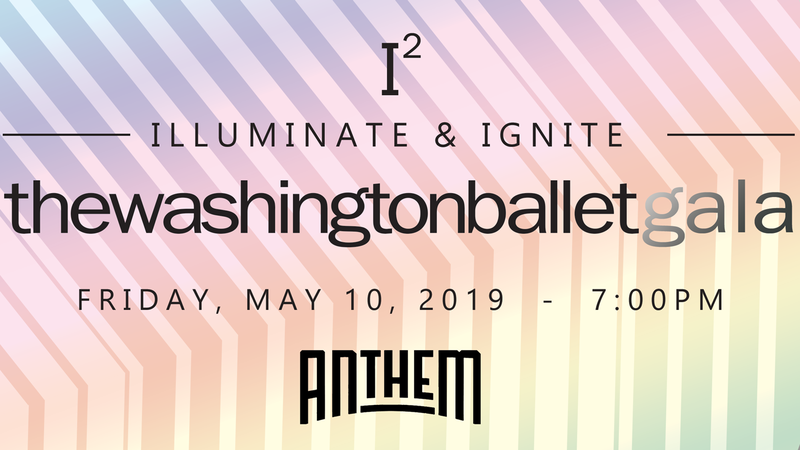 For more information about these auditions, please email Kelsey Arrington, SE School Manager, at karrington@washingtonballet.org. Attire: Girls should wear a leotard, tights, and ballet shoes (students on pointe should bring pointe shoes). Boys should wear black tights and a white T-shirt. However, if your child has never danced before, he/she may wear form fitting, comfortable clothing for the audition. Please remove all jewelry and be certain that the student’s hair is pulled away from his/her face and secured, preferably in a bun for girls. Uniforms must be purchased according to ballet level. Please visit the TWSB studios for a fitting if you are unsure or call 202.362.3606 for more information. Uniform requirements vary between class types and levels. Girls’ hair must be secured in a bun at ALL times. If hair is short, a white headband will be necessary. No hair accessories (scrunchies, bun-covers, beads or bows) should be on or around your bun. Students should have extra hair pins, hair elastics, and hair gel/spray to secure their hair. Watch the YouTube videos below for tips and advice on buns or go to TWB’s YouTube channel to see the complete bun video series. No jewelry allowed except stud earrings. Do not bring valuables to the studio! TWSB is not responsible for lost or stolen items. Ladies in pointe shoes MUST have a needle, thread, scissors, water-proof tape, and band aids with them AT EVERY pointe class. Students must be able to get into their shoes within a 5 minute time frame. PRACTICE! Students must wear street-clothes cover-ups AT ALL TIMES outside the classrooms. Please do not wear ballet slippers outside the building as they carry street dirt into the studio. Introduction: name, age, years and place of study. Only one side of combinations at the barre include: plies, battement tendu, adagio, grand battement. In center (ladies on pointe) adagio, pirouettes en dehors and dedans, petit allegro, grand allegro and a variation of choice. 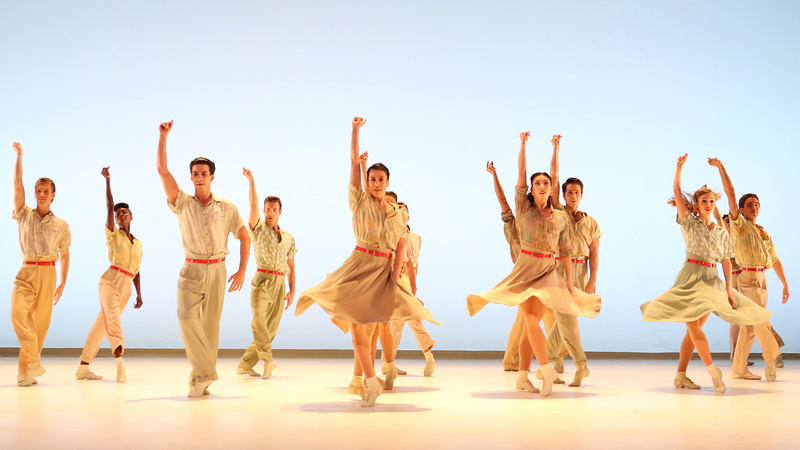 Gentlemen include tour en l’air (single or double depending on your age and ability level) and allegro that includes beats and grand pirouettes. Videos should be submitted to: Donna Glover, Director of School Operations atdglover@washingtonballet.org. To register for the video audition please click here. At step #4, please choose the VIDEO option. Audition results will be sent by email. 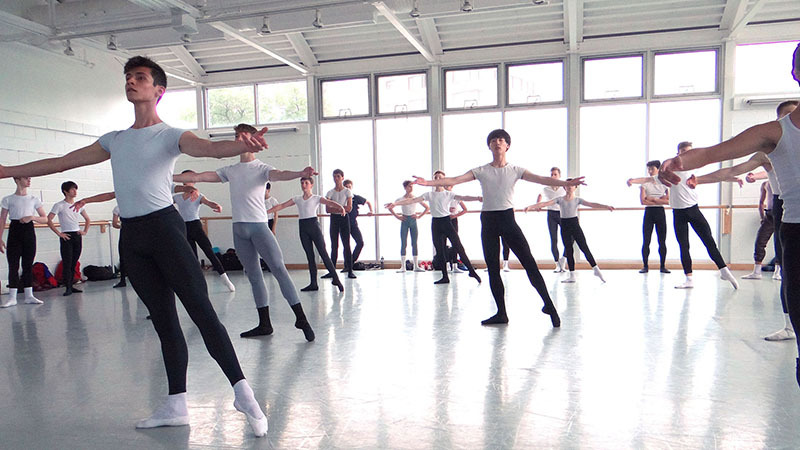 The Washington School of Ballet does offer a F-1 student visa. Once an international student is accepted we will ask for specific information including a photo of the student’s passport. Our administrative offices will then provide an I-20 form from the SEVIS system and include information about where to go online to pay the I-901 fee ($200) for the student visa. Once the I-901 fee is paid online, an accepted student may contact the US Consulate for an appointment. The processing time varies country to country. The Washington School of Ballet does not offer student housing. Students in our Professional Track Program (PTP) reside in shared apartments near the school. TWSB is located in a lovely neighborhood with many apartments that will allow a 9 month lease and will provide a lease for each student individually. It is important to note that a lease is a binding contract; the rent must be paid even if a student leaves the school. The lease agreement is between the apartment management and the student’s family. TWSB does not handle lease agreements but our staff will provide contact information for nearby apartments that enjoy housing our students. All suggested buildings are a short walk to the school. Our neighborhood offers many amenities with easy shopping so that our students do not need to use daily public transportation. All students at TWSB must have medical insurance. There are many options available online. Be sure that you choose a plan that covers hospital emergency room visits.